Calligraphy used to be an exclusive past time, but now with the trend of modern calligraphy any one can have beautiful handwriting. This set is perfect for a beginner or as a gift. Great for the modern bride who doesn't want to spend a fortune on paying some one to hand write the place setting and invites. Showing 2 Manuscript Modern Calligraphy Set reviews. Average rating of Excellent. Would you like to write a review? 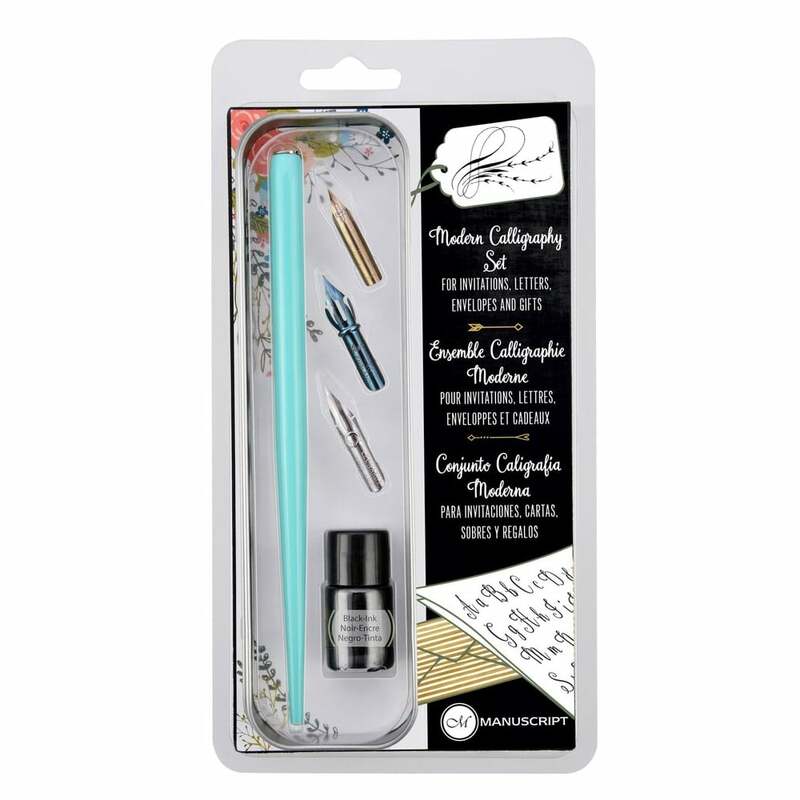 Love this set, I'd never used a calligraphy pen and nib before and this was really easy to use and great for beginners! I wanted something cheaper to start with and this is perfect :) arrived quickly too! Product is good quality and great value - fast delivery too.